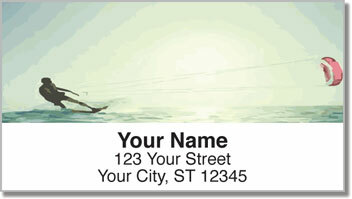 Stick some excitement on your outgoing mail when you choose return address labels featuring the adrenaline-pumping sport of kitesurfing! These awesome images show just how much skill and courage it takes to let Mother Nature pull you over the waves on the end of a rope. 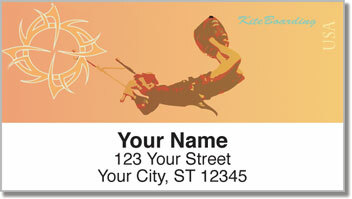 This is an extreme sport that makes you feel alive! You'll really appreciate how easy it will become to finish filling out envelopes when all you have to do is peel and place your new labels. That's thanks to the handy self-adhesive backing. 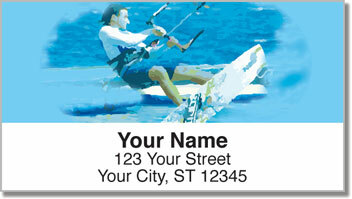 Get your very own Kitesurfing Address Labels from CheckAdvantage right now! 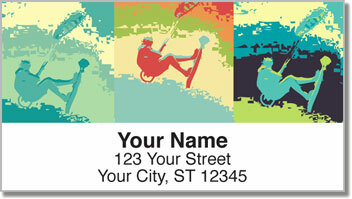 You can also order a set of matching personal checks.